Blue – 3/9/2015 Gold – 3/10/2015. 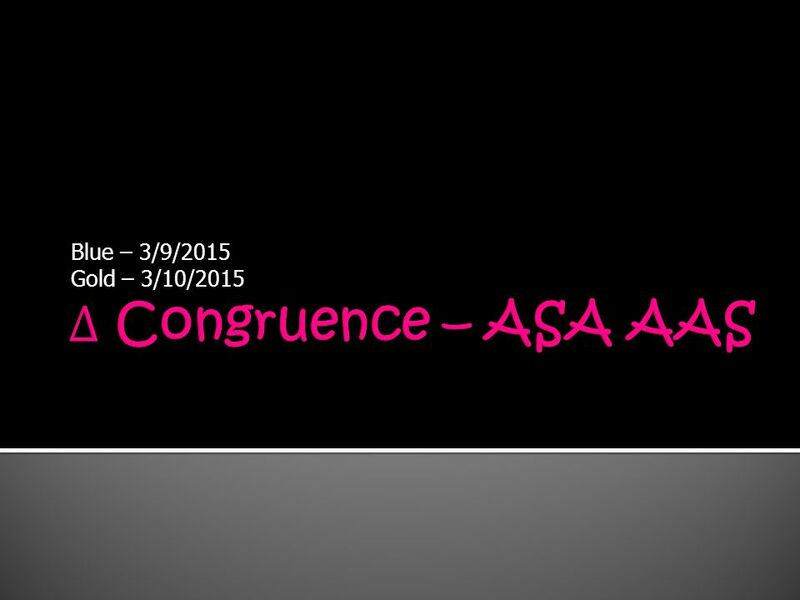  Last 2 classes, we talked about 3 ways we can determine triangle congruence. 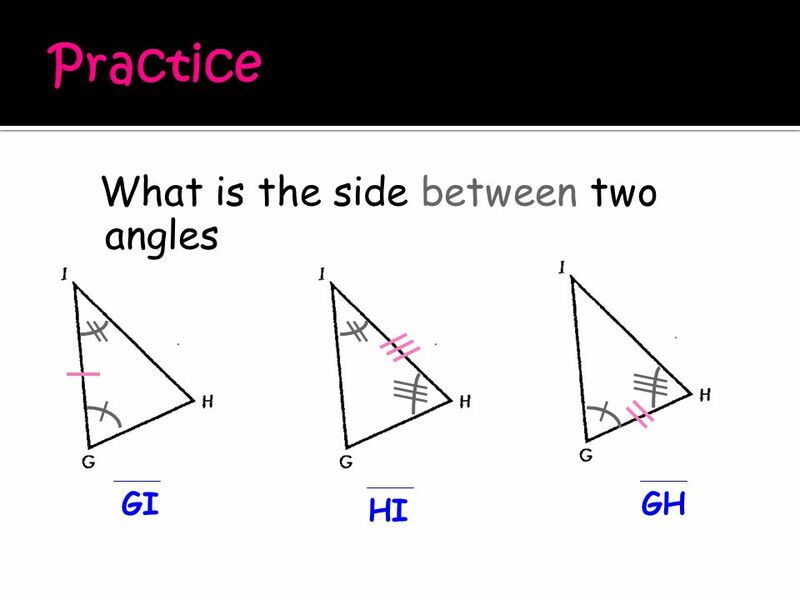  CPCTC – All 3 sides and 3 angles of. 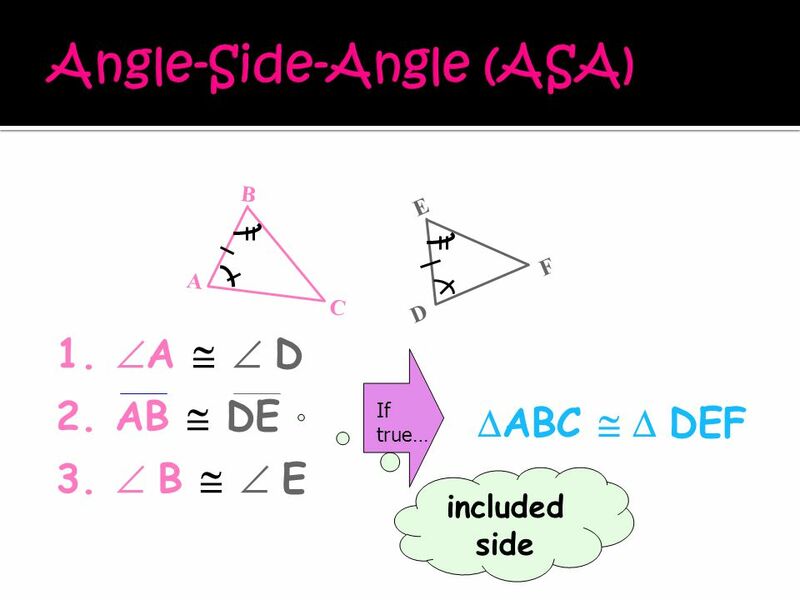 3  Angle–Side–Angle (ASA)– If two angles and the included side of one triangle are congruent to the corresponding parts of another triangle, then the triangles are congruent. 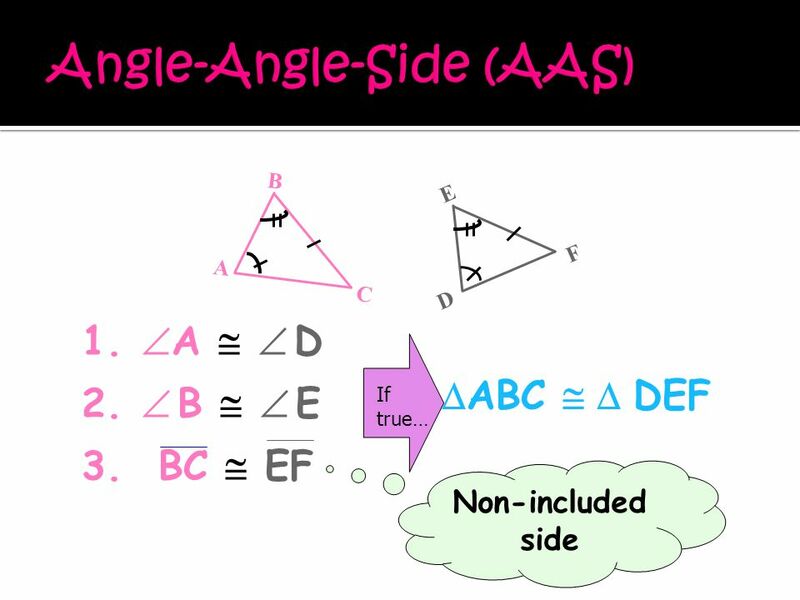 7  Angle-Angle-Side – (AAS) - If two angles and a non-included side of one triangle are congruent to the corresponding parts of another triangle, then the triangles are congruent. 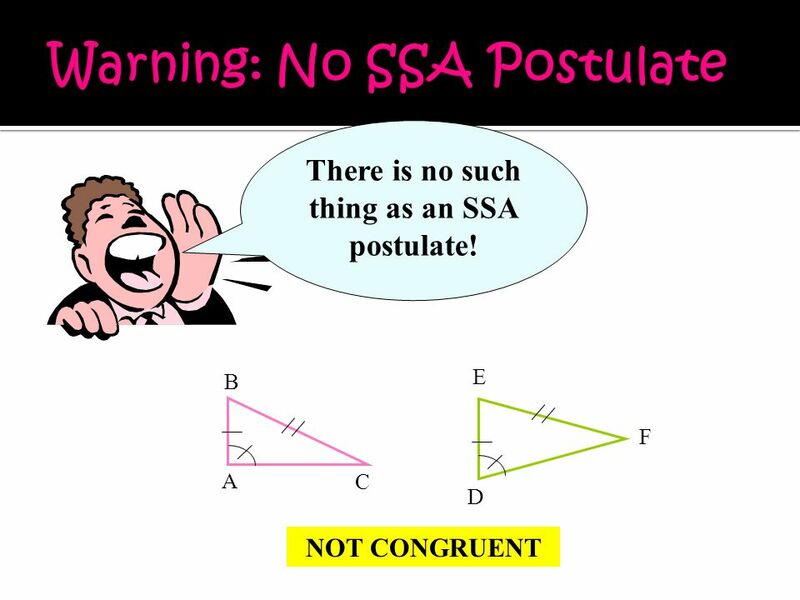 9 A C B D E F NOT CONGRUENT There is no such thing as an SSA postulate! Download ppt "Blue – 3/9/2015 Gold – 3/10/2015. 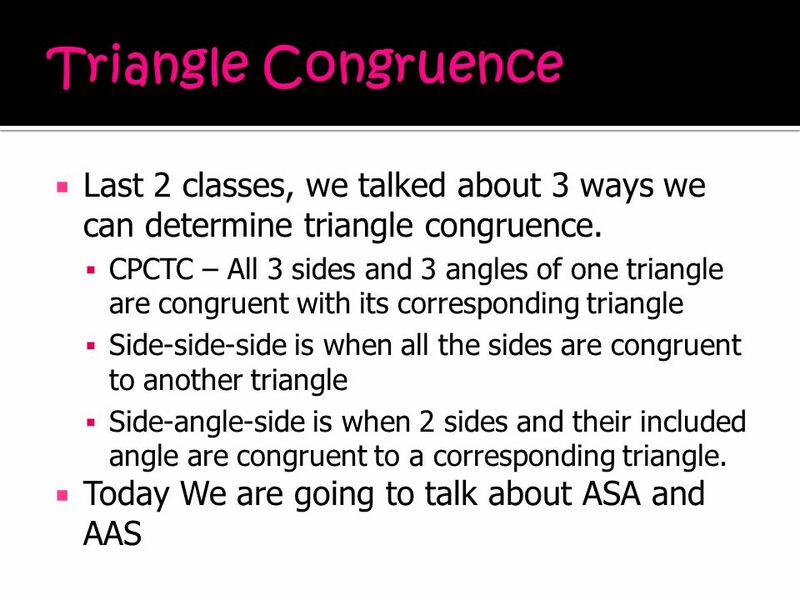  Last 2 classes, we talked about 3 ways we can determine triangle congruence. 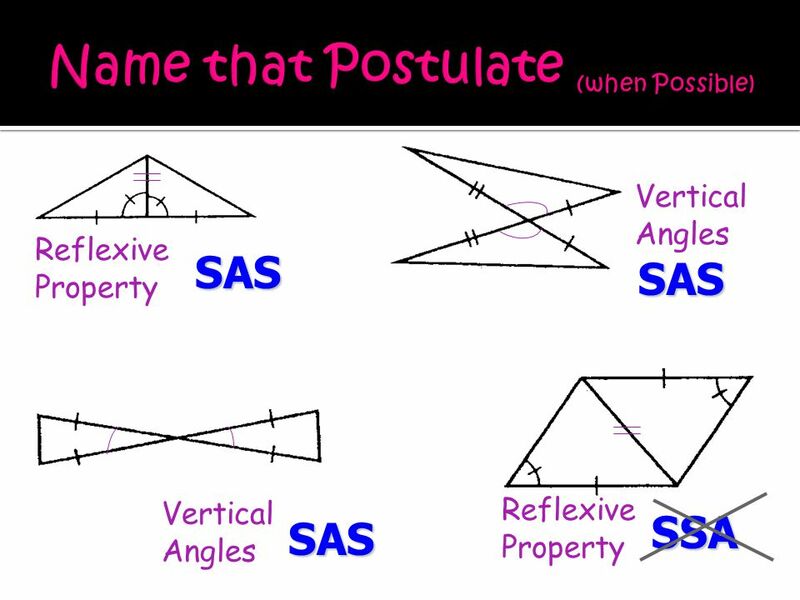  CPCTC – All 3 sides and 3 angles of." 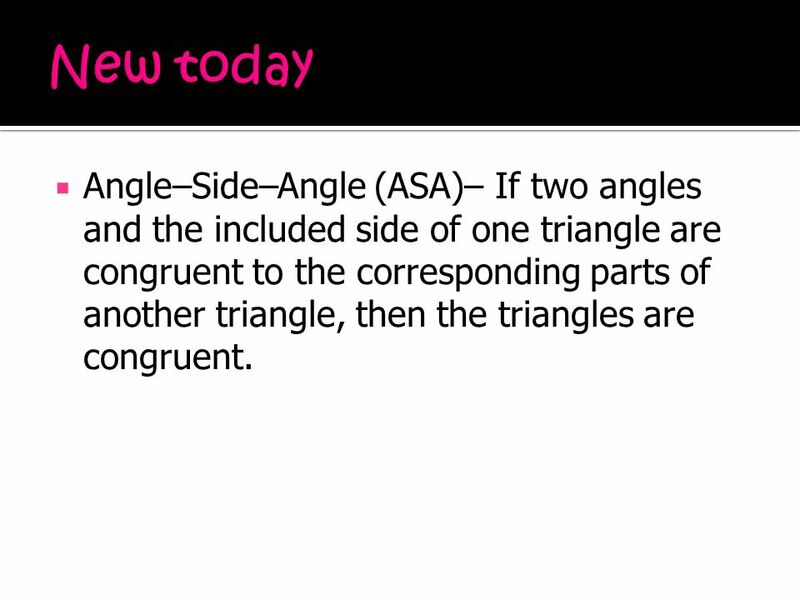 1 MM1G3c Proving Triangles Congruent (AAS, HL). 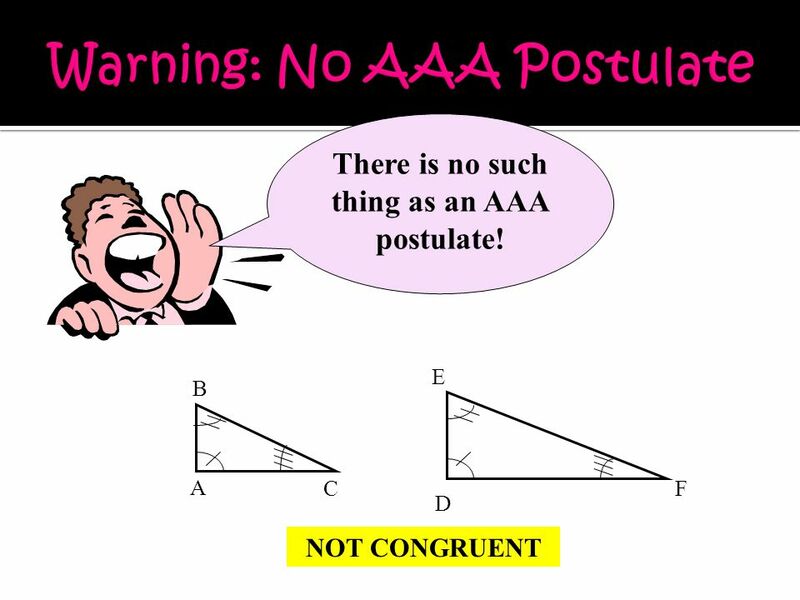 2 Postulates AAS If two angles and a non included side of one triangle are congruent to the corresponding. 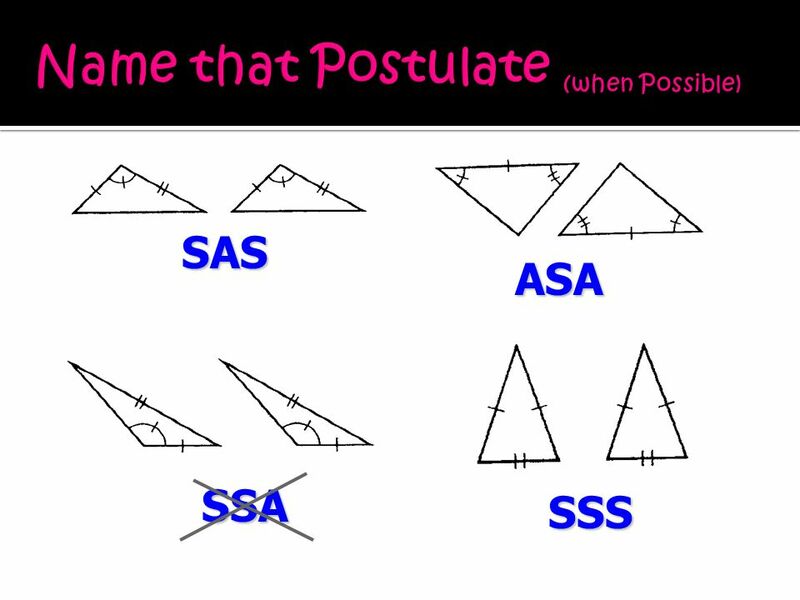 Proving Triangles Congruent. Two geometric figures with exactly the same size and shape. The Idea of a Congruence A C B DE F.
6-2: Proving Congruence using congruent parts Unit 6 English Casbarro. 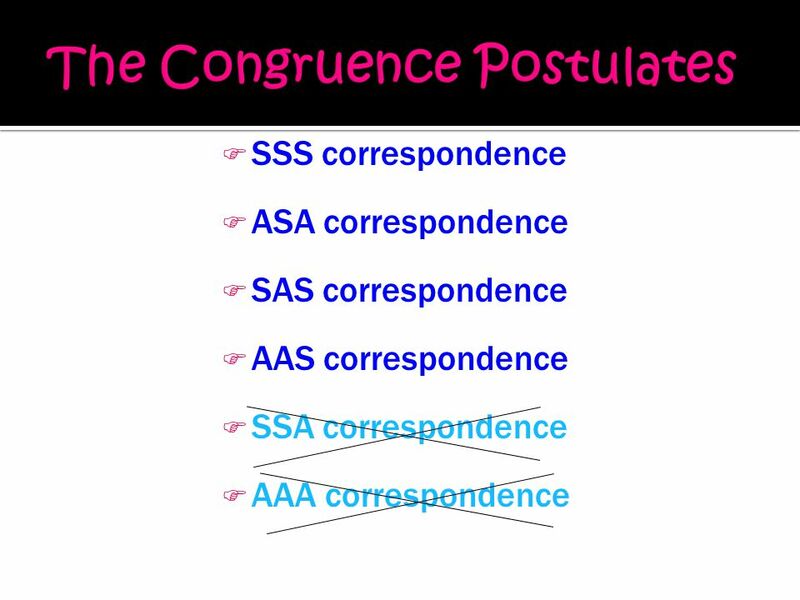 Similarity & Congruency Dr. Marinas Similarity Has same shape All corresponding pairs of angles are congruent Corresponding pairs of sides are in proportion. 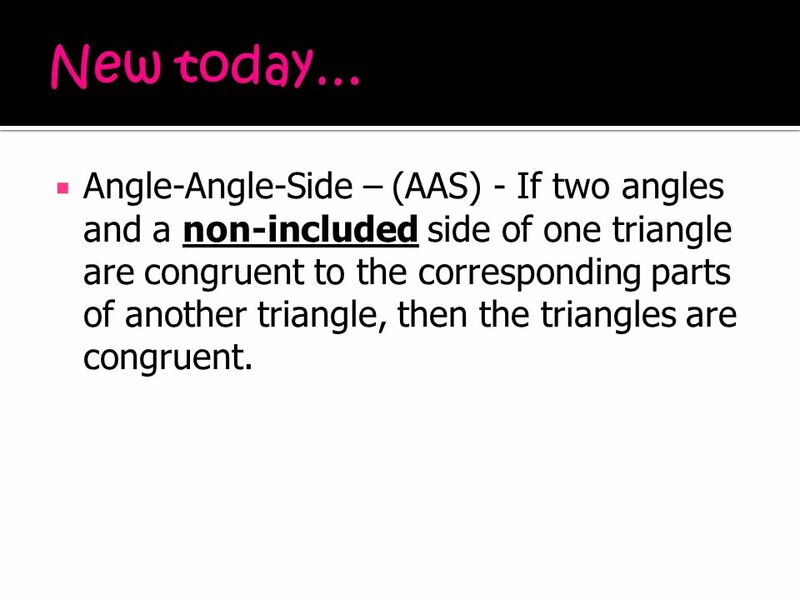 Proving Triangles Congruent Advanced Geometry Triangle Congruence Lesson 2. 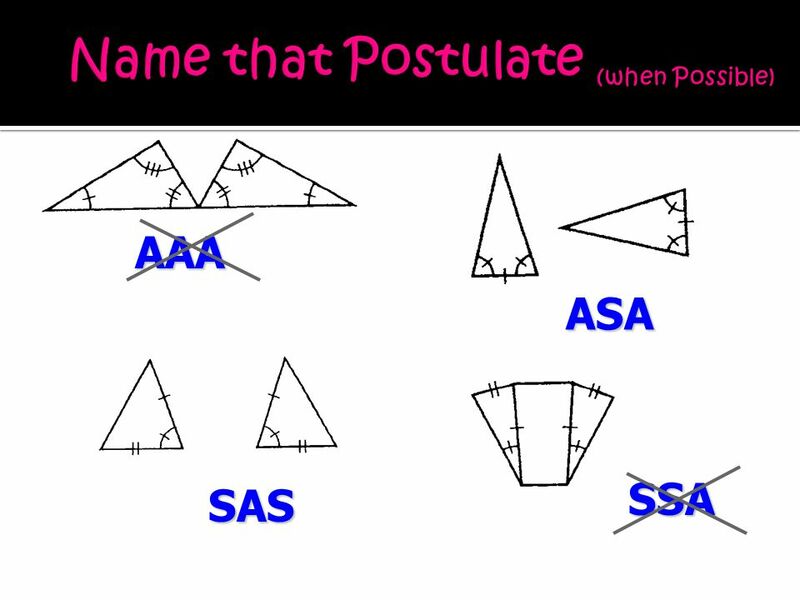 Corresponding Parts of Congruent Triangles Lesson 4-4. 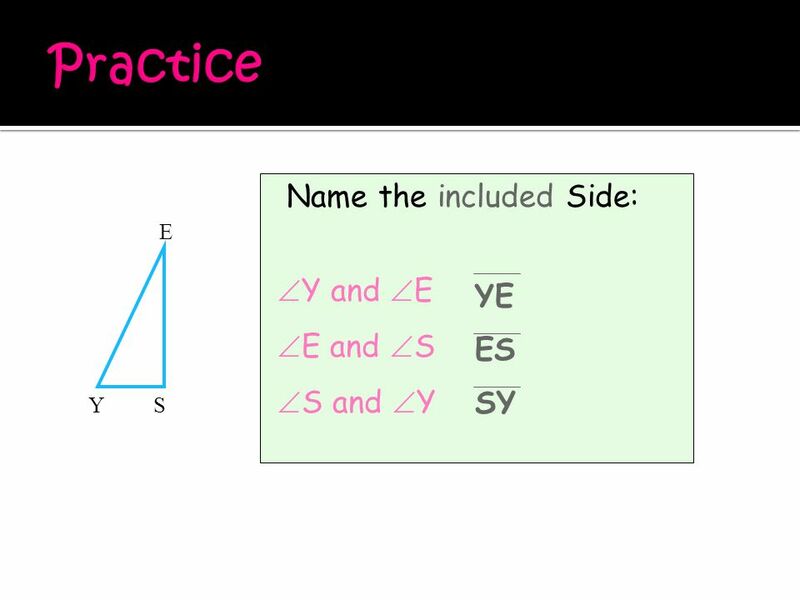 Chapter 4: Congruent Triangles Lesson 4-4: Using Congruent Triangles: CPCTC Goal: Use triangle congruence and CPCTC to prove that parts of two congruent.